Despite recent gloom and doom in ABC (Australia) corridors due to some shows being axed there is cause for some celebration, especially for crime fiction fans. The network has commissioned two tele-movies to be adapted from the first two of Peter Temple’s four Jack Irish books: Bad Debts and Black Tide. I’ll admit that the casting of Australian actor Guy Pearce in the pivotal role of Jack Irish was a bit of a shock on first hearing (surely he’s far too skinny and doesn’t look nearly smashed-up enough) but I’m prepared to be wowed. Pearce is a fine actor and has played a broad cross section of roles in his 20+ years on the job and I’ve rarely been disappointed by any of his performances. I’m cautiously optimistic anyway, especially as the production team includes some first rate people such as screenwriter Andrew Knight and producer Ian Collie. I’m sure, given how difficult it is to get funding to produce television drama in this country, that Pearce’s status as an internationally recognised actor was a factor in getting this project off the ground as it will make it easier to sell the finished product to overseas markets. 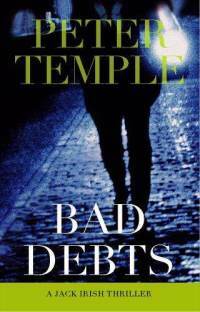 Bad Debts was published in 1996 and won Peter Temple the 1997 Ned Kelly Award for best debut crime fiction novel. It introduced the complicated character of Jack Irish, a Melbourne based criminal lawyer and reluctant private investigator who spiralled into alcoholism upon the death of his wife. In his first outing a former client, Danny McKillop, leaves a series of increasingly desperate messages on his answering machine but before Jack can meet up with him, Danny is murdered. Just when Jack is about to let the whole thing go he receives a warning that, perversely, sparks his curiosity and he tries to find out if Danny was really responsible for the hit and run accident he had been gaoled for some time ago. It’s a fine piece of source material for what will hopefully be some great Australian TV drama. 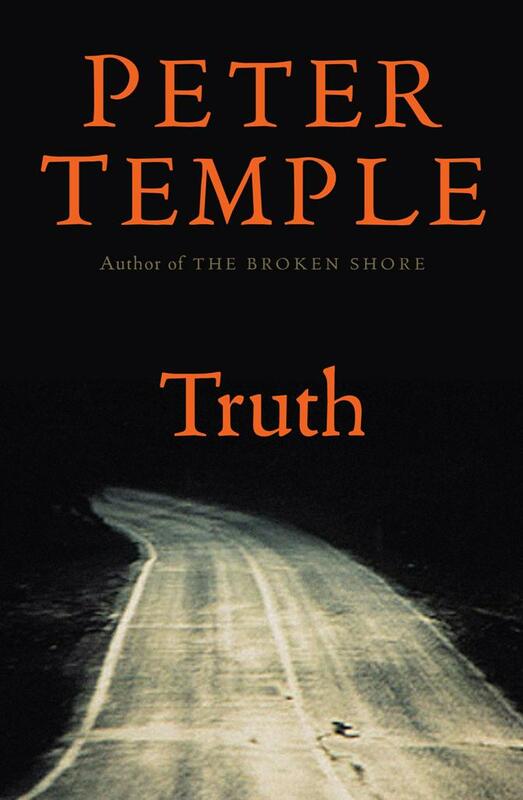 Earlier this year we covered the news that Peter Temple’s latest novel, Truth, would be filmed for the big screen. This review first appeared on DJ’s Krimiblog on 7 January 2010. We thank Dorte for her kind permission to republish it here. Jack Irish, the first-person narrator, is a former lawyer, a debt collector and detective who still struggles to come to terms with the loss of his beloved wife some years earlier. The plot begins when an old client, Danny McKillop, leaves a message on Irish´s phone, asking him for help. Irish checks up on the old case which took place soon after his wife´s death, finding out that McKillop was convicted of culpable driving, killing a woman while he was intoxicated. Jack Irish gets the message too late, and soon after McKillop is shot down by a policeman in ´self-defence´. Irish speaks with friends and relatives, and soon new information makes him uncertain whether McKillop really committed the crime he was sent to prison for. The case also involves politics (giving me the impression that Peter Temple is not exactly impressed by their honesty and integrity) and a touch of conspiracy. And at some point the police give Jack Irish the feeling they want him to ´give the case a miss´. Well, we all know what will happen next, don´t we? No more about the exciting and well-wrought plot. Temple gives a clear impression of the Melbourne environment and a colourful impression of Australian English. I have been looking forward to the Jack Irish series, and in spite of the conspiracy aspect (not exactly my favourite plot), I enjoyed the debut thoroughly. (Dash it, now I will have to add number two, three and four to my list). 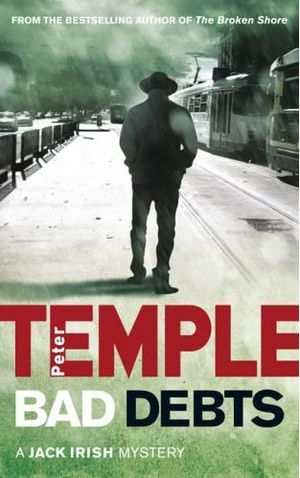 ABC News reports that Australian Director John Polson is to make a movie out of Peter Temple’s TRUTH (reviewed here at Fair Dinkum). The novel won last year’s Miles Franklin Award which is given for the best “published novel or play portraying Australian life in any of its phases” and was the first work of genre fiction to win. Ever since there have, of course, been lots of arguments made that the book isn’t genre fiction at all (heaven forbid something as lowly as a crime novel could be mistaken for literature). TRUTH concerns the investigation into the death of an unidentified woman in a luxury apartment by Stephen Villani, head of the Victorian homicide squad. As the book progresses however it becomes less about the investigation and more an exploration of Villani himself, a flawed father, husband and son, and the nature of modern policing and the role that power and influence can play in society. It’s also a fascinating look at the nature of relationships between blokes. John Polson, perhaps best known in Australia as the founder of short film festival Tropfest, secured the rights to the movie last year and plans to make it in Australia in 2012. He has yet to find a script writer or consider casting. Anyone have any thoughts on who should play Stephen Villani? Text Publishing, 2009, ISBN 978-1-921520-71-6, 387 pages. So begins Truth, the sequel to Peter Temple’s bestselling masterpiece, The Broken Shore, winner of the Duncan Lawrie Dagger for Best Crime Novel. TRUTH is really only the sequel to THE BROKEN SHORE in the sense that one book follows another. Joe Cashin, the focal point of THE BROKEN SHORE, makes only an occasional appearance in TRUTH. But perhaps the “sequel-ness” lies in other things. Stephen Villani is the head of the Victoria Police Homicide Squad, and this novel is about him as much as it is about the crimes his squad tries to solve. The primary rule that governs and ruins his life is HCF, the same rule that governed the life of his predecessor and role model Singo. HCF stands for Homicide Comes First, and for Villani it boils down to a dysfunctional family, including a 15 year old daughter out of control and somewhere out on the streets. As Villani struggles to cope with the present his mind is filled with flashbacks, times when he and those around him have crossed the line, accepted handouts, called in favours, and at the same time tried to do right by victims of crime. Criminal investigations are hindered by political agendas, and Villani is feted, cajoled, flattered, and threatened by those who want him to sweep their secrets under the carpet. There is no doubting his power to do this if he wishes – he is after all the head of the Homicide Squad. Sure he answers to those higher up the feeding chain than he, but they like him live on the knife-edge of investigative success. The media is always waiting for a slip, circling like sharks, ready for a feeding frenzy, ready to cut down the tall poppy. Villani’s career appears to be on the line several times during TRUTH. Although the focus of TRUTH is Villani, and he and those around him question why they do this job, the central story is on a much broader canvas: Victoria in the grip of bushfires, a government teetering on the brink of an election, men with money and dreams, Villani’s own history and a forest that means almost more to him than anything else in the world. Peter Temple is the master of a clipped and terse literary style, where dialogue feels like real conversation. There are times when he uses a word rather than a sentence, in some ways the style reminds me of a former Australian great – Patrick White. It won’t surprise me if TRUTH is a standout nominee for the 2010 Ned Kelly Award. Joe Cashin was different once. He moved easily then; was surer and less thoughtful. But there are consequences when you’ve come so close to dying. For Cashin, they included a posting away from the world of Homicide to the quiet place on the coast where he grew up. Now all he has to do is play the country cop and walk the dogs. And sometimes think about how he was before. Then prominent local Charles Bourgoyne is bashed and left for dead. Everything seems to point to three boys from the nearby Aboriginal community; everyone seems to want it to. But Cashin is unconvinced. And as tragedy unfolds relentlessly into tragedy, he finds himself holding onto something that might be better let go. (re-read) Joe Cashin was once a hot shot homicide detective in Melbourne. But he went with his gut feeling once too often and a young policeman ended up dead and Joe himself was left in critical condition. Now he has been sent to his home town, where nothing ever happens, to be in charge of a small police station, so that he can work while recuperating. A prominent local is bashed and left for dead in what appears to be a burglary gone wrong. All the signs point to local aboriginal youths and the town is only too ready to assume they are responsible. Bringing them in results in tragedy and Joe is suspended, but that doesn’t mean he stops working. 2005 Ned Kelly Award winner.